Every month we post articles focused on various topics to help you navigate through the craziness of life overseas as an expat. Together we make this world a bit smaller each day. “Away With Kate” is one of the amazing people who help write these great pieces and now its time to shine a light on her. Home to me is the small little lake town of Port Stanley, Ontario, Canada where my parents live. My second home has quickly become Toronto, Ontario where I moved for work a year and a half ago. I’ve been to the USA, Mexico, Cuba, Barbados, Peru, England, Ireland, Scotland, France, Belgium, Luxembourg, Spain, Portugal, Italy, Greece, Japan, Hong Kong, Indonesia, Australia, and New Zealand. Would you ever consider living outside of Canada? If so, where would you like to live? You may have noticed our new website design. Here at GoodMigrations we’re on a mission to make the process of moving abroad easier for our fellow expats. As part of this mission we’ve redesigned ourselves with a new, streamlined look that puts the focus on our main purpose: helping you find international movers for your move. Based on feedback from users, we’ve also added some more robust features. Now you can easily compare quotes from different movers and book your move through the site! Best of all, we remain a completely free resource to all of our users. The process is simple. Search for movers located near you, read reviews from previous customers, and request quotes from the ones you like. As before, the movers will contact you to schedule a visual survey of all the stuff you’re shipping. This is the best way to get an accurate quote. The quote will be posted back to the site using our standardized template, making it easy to compare what services each mover is including in their cost. What’s so special about this “standardized quote template?” Well, most people move abroad once or twice in their lives so aren’t familiar with the moving industry. It can be hard to interpret all the insider lingo that movers use — even the best movers may refer to the same service using different terminology. Knowing exactly what’s included is important so you don’t get hit with extra charges down the road. You’ll have a simple side-by-side comparison of all your quote requests. Terminal handling charges? Inland freight? What’s all that stuff mean? Don’t worry — we’ve got you covered. Once you’ve done a side-by-side comparison of your quotes using our new standardize quote template you can easily book a mover all through GoodMigrations. No more googling movers on the Internet or submitting quote requests on sketchy sites where you can’t evaluate the movers. Take care of all your moving needs in one secure place. This is a big step for the international moving industry as we continue to work on eliminating the uncertainty and frustration of moving your stuff overseas. 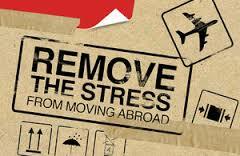 If you or someone you know is getting ready for their big move abroad then come to us to find a mover! Interested in beginning your move overseas? Start here! Are you a mover? Learn more about who we are and what we do here! Read reviews and find an international mover near you. In April 2012 we launched GoodMigrations to help people moving abroad get more insight into the international moving process and determine which international movers were reputable. We also wanted to provide independent social proof for all the great moving companies out there. Over the past year the response from expats has been great. But there’s still a lot of work to do so we’ll be adding new functionality to the site over the next couple months.One of the features we’re looking to include is a way for people moving abroad to easily compare moving quotes. We’ve found that for a person moving to a new country for the first time, comparing different moving quotes can be difficult given the different terminology and templates used by different companies. Additionally, most customers don’t know enough about international moving to ask about things that may not be shown on the quote, such as terminal handling charges and container options. And of course trying to manage all the documentation and correspondence via email can be a headache since it gets buried under dozens of other personal or work messages. On the moving company side, we’ll be looking at how we can help drive new business to the good, trustworthy moving companies — after all, paying for leads that are often bad or don’t go anywhere isn’t ideal. We also want to help the good guys really show off their track record and capabilities. As such, we’d love to get input from some international moving companies to make sure we’re adding features that can benefit them. 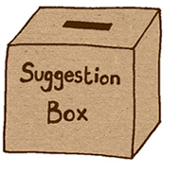 So if you’re interested in contributing your thoughts please let us know and we’ll get in touch.